Featuring a rustic yet refined spherical design, the Round Teak Ball On Black Marble Base by Moe’s Home makes it easy to add an organic element with its elegant orb-shaped style. 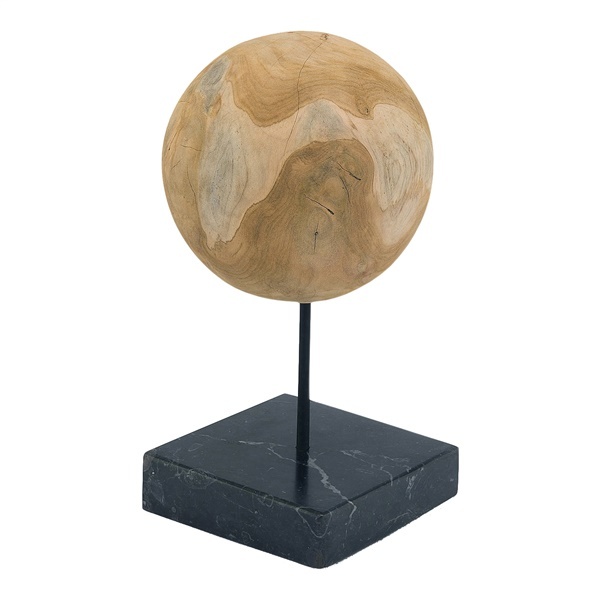 Crafted of quality teak atop a sleek base of deep, dark marble, Moe’s Round Teak Ball On Black Marble Base catches the eye whether arranged atop a desk at the office or included on either side of a shelf of your most showoff-worthy stuff. Meticulous craftsmanship of solid teak. Stable base of black marble.